We offer a full line of products for shingles and sawed shakes in three different species; Atlantic white, Western Red, and Alaskan Yellow Cedars. All products are great for outdoor use as sidings and, for the true wood enthusiast, Red and Yellow can be used as roofing material. Atlantic White – Growing along the eastern seaboard, Atlantic and Northern White cedar has been used as outdoor siding for centuries due to it’s rot resistant characteristics. Most shingles were put up and left to go to the silver/grey and many homeowners still apply shingles this way due to the fact that there is minimal maintenance and the natural beauty is yet to be recreated by man. Wind, water, and Hurricane resistant; just take a ride after any storm and see what stays. For homeowners who want a little more color to their structures we supply pre-stained products also.. 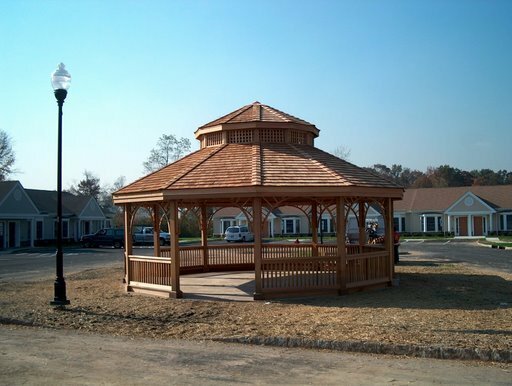 Previously builders had to stain materials themselves on site, but now companies are factory finishing white cedar (all four sides) and are able to offer extensive warranties due to their ability to quality control. 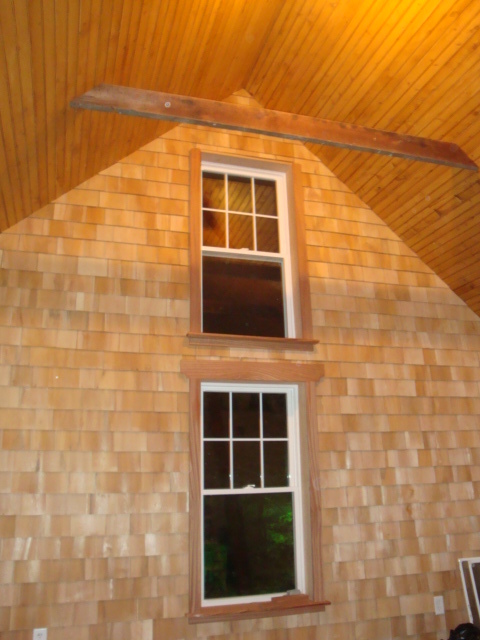 Below are just a few colors/ideas of the look that Atlantic White Cedar can do for you. 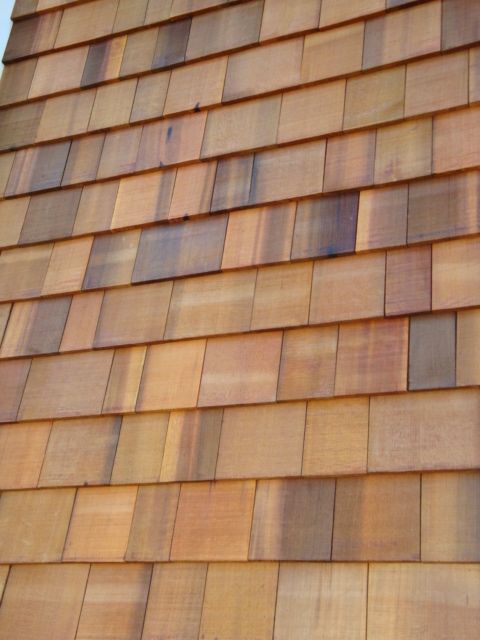 Used for both roofing and siding applications, red cedar has made it’s way to the east coast due to proven performance in most every condition nature throws at it. We stock number one and number two perfections but R&R’s, Hand-splits, Royals and Tapersawns options are only a few business days away. 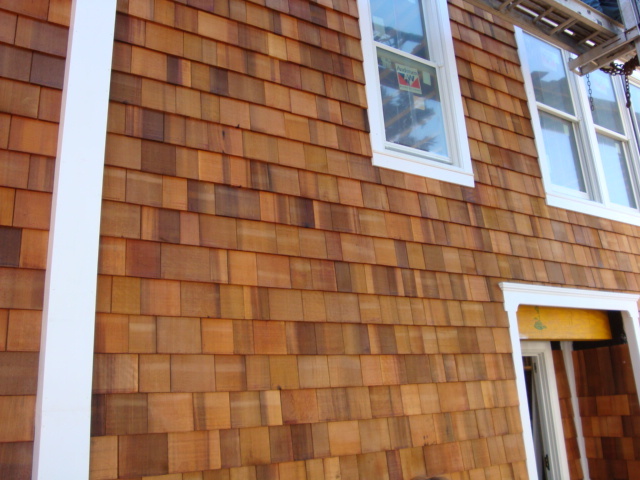 Check out cedarbureau.org or come visit our showroom to view different shingle cuts in person. Viewed as the cream of the crop for wood sidings, Alaskan Yellow cedar is one of the most durable natural materials available. 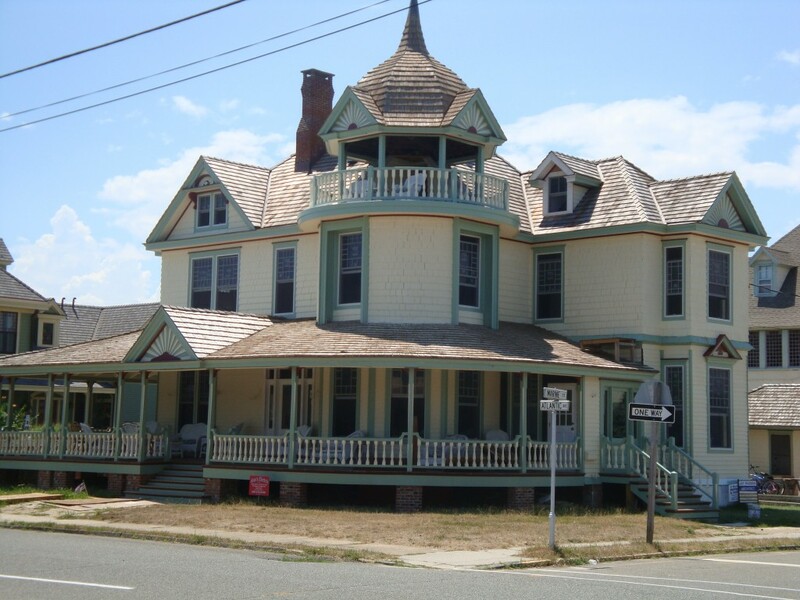 Due to it’s characteristic of weathering to silver-grey in a consistent manner, Alaskan Yellow shingles first became popular in New England and the east end of Long Island and are gaining popularity more and more in other areas. Perfect for all areas due to it’s rot resistant characteristics and beauty. Through much searching we can now also offer dimensional boards and other sidings available in Alaskan Yellow.